SAY what you will about the French, but don't say they don't know their way around food and drink. Case in point is the good people at Bordeaux Wines (http://www.bordeaux.com/). What are they up to? In a word, commerce. They know what time it is. That is, they are fully aware that tomorrow is Independence Day, or the 4th of July, in the United States. 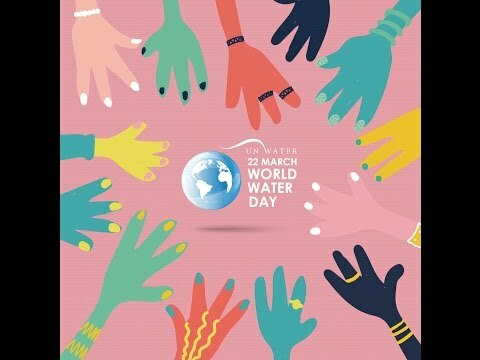 To celebrate the occasion, they offer five dishes that can be made at home and five wines - rose, white and Bordeaux, bien sur - to complement them. It should go without saying that these are not hotdog and hamburger recipes, but it will not. Photo from Spice Market NY. Sweat all but tapioca, sugar, salt and water in oil until golden. Add water, salt and sugar and bring to boil, simmer for 30 minutes then strain thru a chinois. Bring back to a boil then add tapioca and cook, stirring until clear. Drain under cold running water until cool. Put in a container and just cover with chili oil, then season with salt and reserve. Clean, crush & chop lemongrass fine Combine coconut juice, milk, chili, lime juice, sugar and salt and bring to boil. Add lemongrass and kaffir, mix well and let cool, uncovered. Strain through chinois and finish with lime juice. Slice tuna into 1-inch long, ½-inch wide and ⅛-inch thick pieces. Serve 10 pieces per order. Arrange in a chilled shallow medium size bowl and fold each piece in ½. Season tuna with salt then scatter with chili tapioca, then with jicama and pear. Sprinkle with scallions and then scatter with red pepper. Add coconut-lime infusion to cover halfway and serve. Wash sardines and pat dry. In a small bowl, mix olive oil, lemon juice, salt, pepper and garlic. Brush mixture onto the sardines and let them marinate while you prepare a hot barbecue fire. 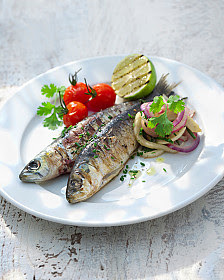 Cook sardines quickly on a hot grill for about 3 to 4 minutes on each side, carefully turning once. Fish should be just cooked through and the skin golden and slightly charred. Transfer to a warm platter. To serve, mix the capers and parsley and sprinkle over sardines. Garnish with lemon wedges and serve immediately. Pair Sardines with Château Chaubinet 2011. Characteristics: An aromatic and well-balanced wine with a fruity nose and refreshing floral and citrus notes. Taught to him by his Lebanese mother, the Canlis salad was perfected by Peter Canlis and introduced to the world on opening night, 11 Dec. 1950. To make the dressing, put the salt and pepper, lemon juice, oil, and coddled egg in a bowl and whisk vigorously, then reserve. In a salad bowl, add the prepared romaine, green onion, cheese, bacon, croutons, oregano, and mint. Pour dressing over salad and toss thoroughly. 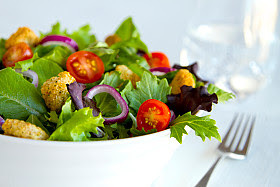 Arrange the salad onto chilled plates and finish with cherry tomatoes. ** Croutons: It’s fun to make your own baguettes, butter and minced herbs. 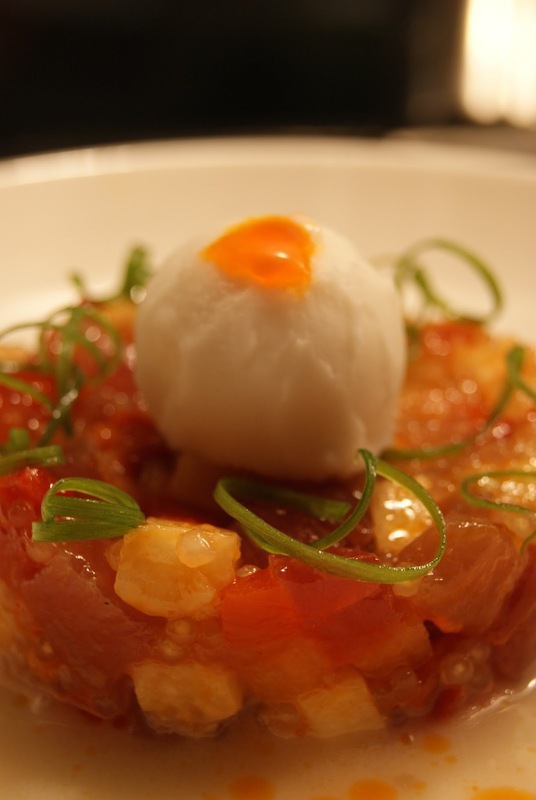 *** Coddled Egg: Pour boiling water into a cup and put a whole egg (in the shell) into the hot water, let sit for one minute, then remove from the water. You may substitute with pasteurized egg mixture (found in the dairy section in cartons). Pair Salad with Dourthe La Grande Cuvee, 2011. 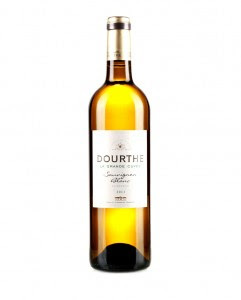 Characteristics: Cool, medium bodied in the traditional Bordeaux style of sauvignon blanc. Herbal, grassy, with hints of lemon zest and citrus. Color: Light yellow; Tasting note: Bright, crisp, and refreshing; Price range: $12-$14. 400 degrees F. Peel asparagus stalks and steam them until tender. Set aside. Beat the egg wolk with 1 tablespoon water. Lay the puff pastry rectangles out evenly on a cookie sheet and brush tops with eggwash. Bake them 15-20 minutes, or until puffed, dry inside and golden brown. Remove from oven and let cool. Heat a heavy skillet over medium heat. Add the olive oil and saute the cod gently, turning once, just until cooked through (fish should be opaque and can be flaked with a fork). Salt and pepper the fish. Remove and separate into large flakes; set aside, keeping warm. Slice the scallops a couple of times across the grain and sauté them quickly in same pan, just a minute or so. Set aside with cod. Mince the green onions and sauté gently in same pan 1-2 minutes. Add the garlic and parsley, then the lemon juice. Reduce slightly and add the cream. Season to taste. To fill the feuilletés, separate them in half. 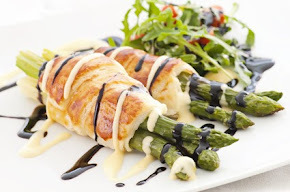 Lay bottom halves of pastry on a sheet pan and top with asparagus spears. Top each with seafood mixture, then the sauce. Replace the pastry tops and return to oven for about 5 minutes to heat through. Serve immediately. 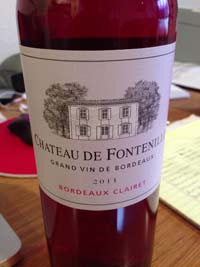 Pair Asparagus/Cod with Château Fontenille Bordeaux Clairet 2011. Characteristics: After agitation it quickly reveals aromas of fresh red berries, crushed strawberries and raspberry. The entry is sharp, the palate rich and round, with a lingering fruit. The middle palate is more spicy and the finale fruity. Photo from My Little Jar of Spices. Finely chop the red and white cabbage and the fennel into long, thin strips. Using a julienne peeler, peel long strips of carrot. Peel the cucumber and chop into small quarters. 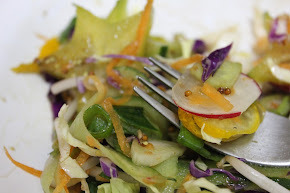 Slice the radishes, scallions, starfruit and kumquats crosswise into thin slices. Mince the ginger into very small pieces. Make the vinaigrette: using a magic bullet or a fork and a bowl, whisk together the olive oil, balsamic vinegar, orange juice, dijon mustard, salt and pepper. Toss the salad with the vinaigrette and top with toasted sesame seeds, chopped cilantro and mint. 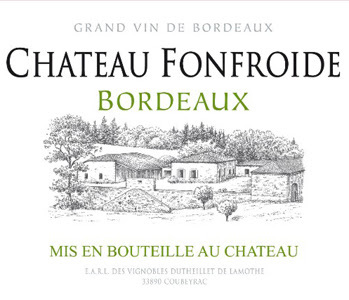 Pair Slaw with Château Fonfroide 2012. Characteristics: A floral and soft fruit nose with notes of pear, nectarine, peach, orange blossom and citrus on the palate. Color: White; Tasting Note: Dry, Fresh & Fruity; Price Range: $10-$19. 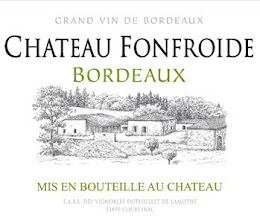 Visit http://www.bordeaux.com/ to learn more about Bordeaux Wines.